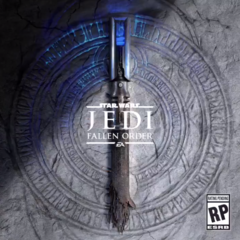 Several sources have seemingly confirmed the release date of Star Wars Jedi: Fallen Order for the PlayStation 4 and Xbox One hours before its official unveiling at the Star Wars Celebration in Chicago. Respawn Entertainment will give an hour-long showcase of the game later today. No sooner than EA and Respawn Entertainment announced that it would be bringing Star Wars Jedi: Fallen Order to the PC, PlayStation 4 and Xbox One has its release date leaked. Respawn Entertainment, the developers of Apex Legends and Titanfall will showcase the game at the Star Wars Celebration in Chicago between 13:30 and 14:30 today, but that has not stopped some eagle-eyed people from finding out its release date ahead of the official unveiling. All leaks point towards the game coming to consoles and PC on November 15. 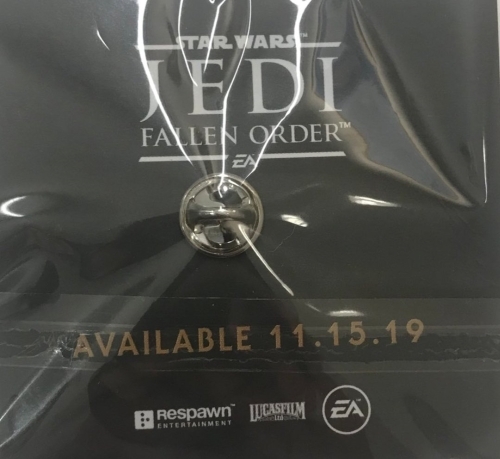 Firstly, one crafted person on Twitter has got their hands on an official pin early, which has the words "Available 11.15.19" on the back. Moreover, an Amazon Italy listing gives the same date for both the PlayStation 4 and Xbox One versions. It also looks like the game will come in Standard and Deluxe Versions, which will cost €49.99 (~ US$56.52) and €79.99 (~ US$90.44) respectively. We suspect that regional prices will vary. Head of Respawn confirmed at E3 2018 that Star Wars Jedi: Fallen Order is set short shortly after Revenge of the Sith and will be a single-player game. The protagonist will reportedly be a young padawan who is on the run after Emperor Palpatine issued Order 66 at the end of Revenge of the Sith. EA also tweeted yesterday the cryptic statement "Don't stand out", which seems to hint towards the game integrating some stealth elements rather than a combat free-for-all like Star Wars Battlefront and Battlefront 2. Hopefully, Respawn confirms more when it lifts the lid on Jedi: Fallen Order later today.